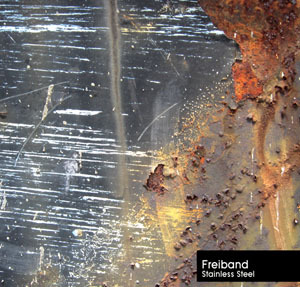 Ini.itu happily announces the release of the first Freiband LP, of which I am quite proud. Its gamelan music treated in a strictly computer way on one side and analogue on the other. For a while I thought about doing it as a Freiband/Goem split LP, but for whatever reason I forgot, we decided against it. Maybe because Goem is dead & buried (until someone dangles big cash for our reunion concert – any takers?). I will copies of this album to sell soon. Because the release of our latest LP on ini.itu by Freiband ( Frans de Waard ) puts us in a good mood, we decided to launch a little contest.